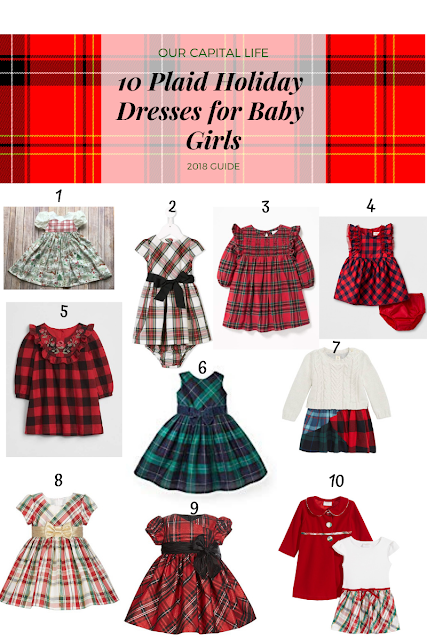 I was looking for a cute plaid dress for Haddie to wear to meet Santa (for the first time ever!) and had a little trouble finding exactly what I wanted. 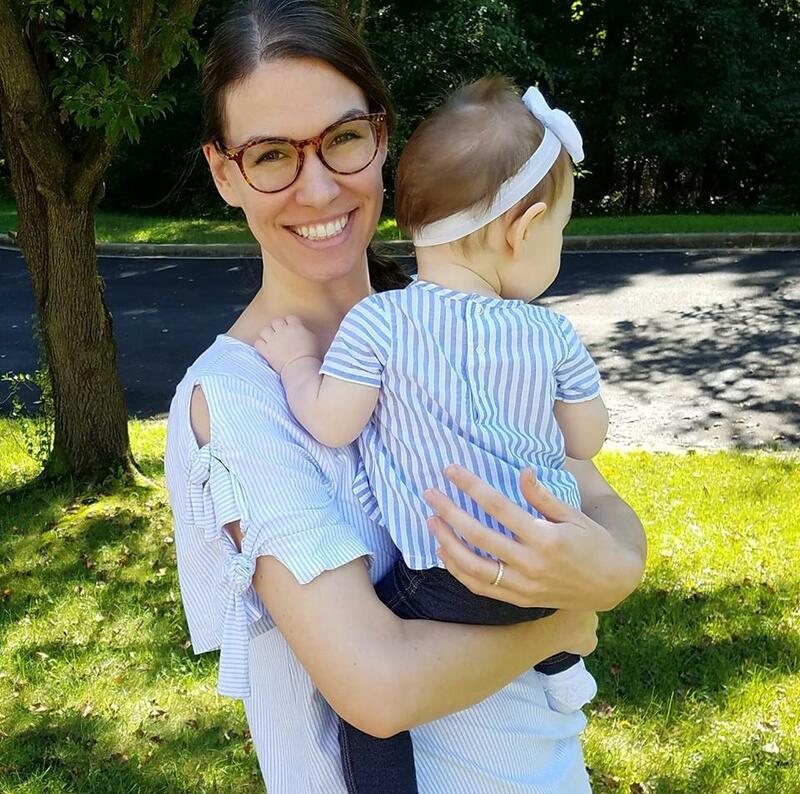 I planned on buying a plaid jumper that I loved from Carter's, but it sold out super fast and so I had to scramble to find another option!I searched high and low and eventually came up with some cute options so I thought I would share some of my favorites! Here are the top ten dresses I found that would be adorable for any little girl over the holidays! 1 - First, my friend Victoria's handmade dresses on Etsy are beyond cute! I love this reindeer design. Sizes 0-24 are $60. 2 - Ralph Lauren Red or White Tartan Plaid Dress with black bow. $65, currently on sale for $48.99. I saw this dresses on a baby girl who was behind us in line to meet Santa. It's exactly the look that I had been searching for! Elegant and a little old-fashioned. 3 - Old Navy Plaid Ruffle-Trim Dress. $22.99. I almost bought this dress one day but when I came back it was sold out in the store closest to me! 4 - The price point of this Target dress can't be beat! $13.99 for a super cute holiday dress. This was one of my top contenders! It's a really great affordable option that will look as nice in pictures as any of the others. 5 - Hope & Henry Plaid Taffeta Pleated Dress. This is a company I learned about recently and their clothes are adorable and only available on Amazon. This one is $29.95 and they also have a similar red version here. 6 - For a unique option, this Tucker + Tate Mixed Tartan Plaid Dress from Nordstorm offers plaid that will match any holiday color scheme! $42.99 and free shipping. 8 - This metallic plaid dress from Macy's absolutely took my breath away but I just couldn't quite justify the price of $60. Of course, it's on sale today for $23.99!! It is truly stunning in person. The brand is Bonnie Baby which I think might be a new favorite of mine. 9 - There's also a red version of the above dress. 10 - This final option is also from Macy's. It's a two-piece coat and dress set from Blueberi Boulevard and it is so classic and beautiful. The quality is really nice, but again it was a little more than I could afford at $70.00 but is on sale today for $27.99! Of course! So which dress did we end up with, you might ask? 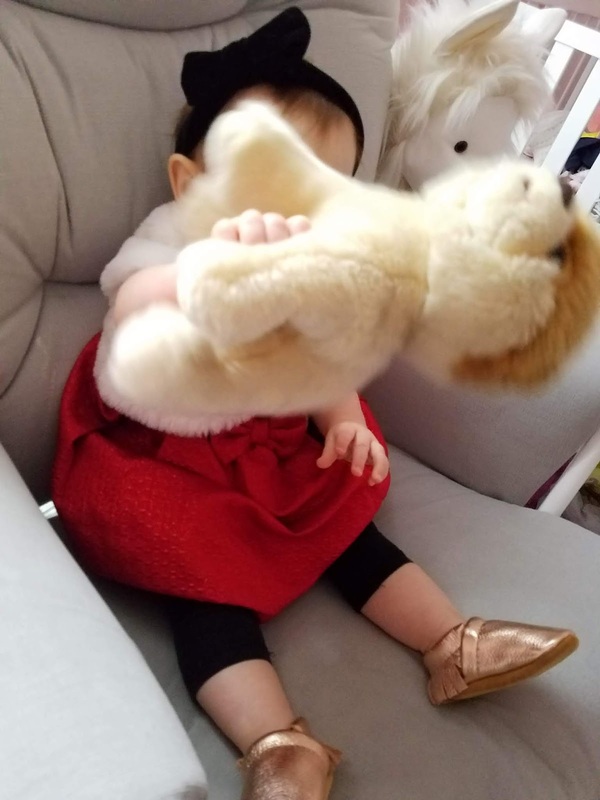 Funnily enough, I absolutely fell in love with this red sparkly dress with a fur stole from Target -- didn't end up with plaid at all, but I'm still lusting over the above dresses! I think I had a dress just like number 3... no kidding. Number 2 is my absolute favorite though - so cute! !